A few months ago, I was appointed a board member of the Walkabout Foundation. I am so honoured to be a part of the organisation and be able to support those who are in need of medical equipment and have been housebound, alone and distressed all their life. The foundation gives wheelchairs to such people in very deprived areas of the world. Wheelchairs will finally open the world to them and let them be social. The charity was founded in 2009 by siblings Luis and Carolina Gonzales-Bunster after a visit to their local YMCA in Connecticut, when they discovered that Luis, who is paralysed from the waist down, couldn’t enter the building due to a lack of ramp or elevator. Since then, the Walkabout Foundation has funded groundbreaking research to find a cure for paralysis, distributed around 10,000 wheelchairs in 21 countries and opened their first Day Care and Rehabilitation Centers in India and Kenya. 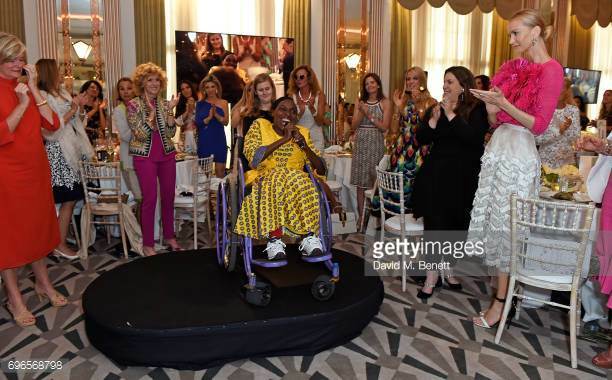 Always looking for ways to raise funds and awareness to fulfill their mission, last month, the foundation partnered with Italian jewellery house Buccellati to host the Women4 Walkabout Ladies Luncheon at the Claridge’s Hotel in Mayfair, London. The event, which was the first of its kind in the British capital, drew together 320 influential women, including designers Emilia Wickstead, Mary Katranzou and Noor Fares, who all generously agreed to make a donation to sit at the table and witness first-hand the miraculous work the foundation performs on a daily basis. 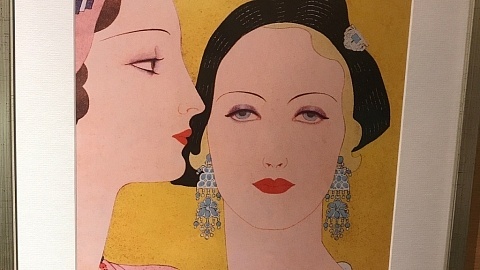 All the ladies enjoyed the lovely luncheon and were bidding on a silent and live auction with all the fashion and travel prizes that were donated. And I can’t thank all the donors enough for the generosity. The founder Carolina Gonzalez-Bunster gave a speech to thank everyone for their help and support and highlight how important everyone’s contribution is in raising awareness for paralysis. The guest of honour was none other than Charity Nana, a beneficiary of the Walkabout Foundation herself who kindly shared her story with us. In 2014, after being confined in her house for more than four years, Charity received a wheelchair in her native Kenya, which finally gave her the opportunity to move around more easily, become an active member of her community and turn her whole life around. Today, Charity works for the Walkabout Foundation in Kenya, both as community outreach manager and in the daycare center. Charity is blessed with a beautiful voice and, after profusely thanking the foundation for its precious gifts, entertained the committee members and donors with a song. Her voice was so angelic and her gratitude so genuine, she moved and melted all our hearts. Many of us couldn’t help but shed a tear or two during her performance. Charity reminded us of what is possible to accomplish even when you are dealing with a severe disability and inspired us all to double our efforts and help many more people in the future. She is a true hero! The event was a resounding success: at the end of the day, we realised we had raised over a quarter of a million pounds. Thanks to their generosity, many more people like Charity will have the chance to transform their lives for the better!